Hello my friend: the software can be updated, but you need to buy a new software HDD from obd2tool.com! 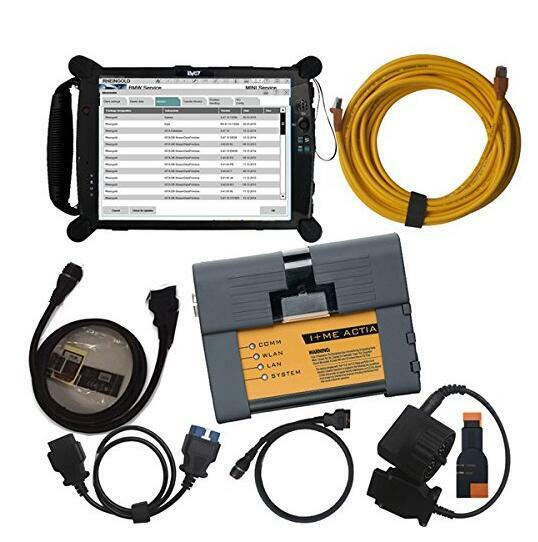 You just need to buy one time for one year, the software is about USD 135 with shipping cost, it is one 500GB HDD, and this is a professional tester for BMW, so it can program! It can test and programmer,we have install all software in the EVG7, and also active it well, you can use it directly when you get it! I hope you have a good day! we will install everything for you well before we send it to you, you can choose the products according to your need, if you can install the software by yourself, you can buy it without computer, just with one protable hard disk with it, so you can use it with any laptop, if you think install the software is a problem, so you can choose the BMW ICOM with the EVG7, we will install software for you, it is ok? 4. I recently bought this machine, but the machine cannot connect to the internet. moreover when programming some vehicles is not successful? hello, you need to use usb card to install internet driver . may i know what vehicles can’t program ? car model and year ? 5. Can it program a lead acid battery to agm ? Hello, this device can program a lead acid battery to agm , thanks.